The Colorado Avalanche Hockey Club announced today that the team has signed defenseman Patrick Wiercioch to a one-year contract for the 2016-17 season. 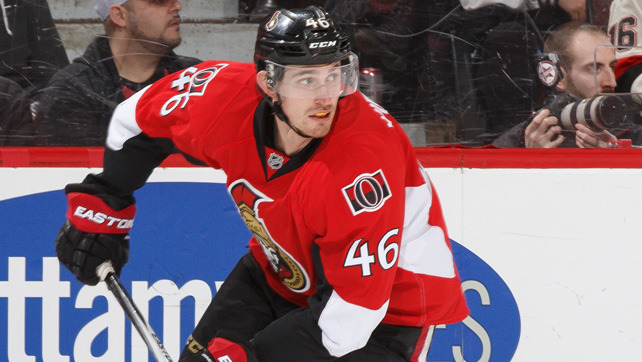 Wiercioch, 25, has spent his entire career with the Ottawa Senators after being selected in the second round (42nd overall) of the 2008 Entry Draft. He played two seasons at the University of Denver (2008-10) before making his NHL debut on March 22, 2011. The 6-foot-5, 202-pound defenseman has appeared in 211 career NHL games, tallying 62 points (12g/50a). Wiercioch also has four points (2g/2a) in seven career playoff contests. The Burnaby, B.C., native skated in 52 games for the Senators this past season, recording five points (0g/5a) with a +2 plus/minus rating. He missed 18 contests due to injury, including the final 13 games to close out the year. Wiercioch appeared in his 200th NHL game on Jan. 24, 2016 against the New York Rangers. While at the University of Denver, Wiercioch (WEER-kawsh) was named to the WCHA All-Rookie Team and WCHA Second All-Star Team as a freshman in 2008-09, and selected to the WCHA First All-Star Team and NCAA West First All-American Team as a sophomore in 2009-10.